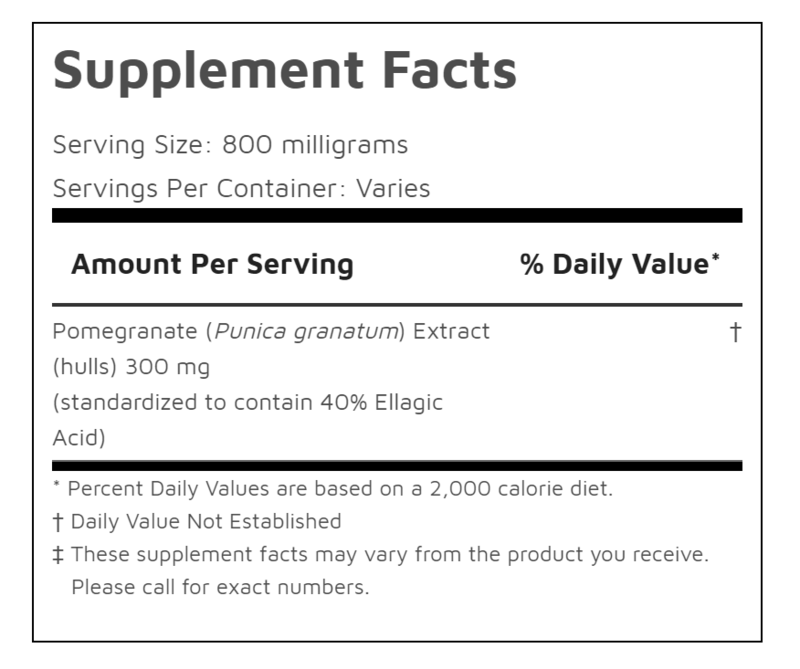 What is Ellagic Acid in Pomegranate Extract? Aside from pomegranates, ellagic acid is also found in raspberries, nuts, and grapes. This natural phenol is used as an antioxidant supplement. Wherever you get your pomegranate extract, ensure that it is standardized for ellagic acid or punicalagins. Powders that are not standardized for these active compounds may not yield the same benefits. 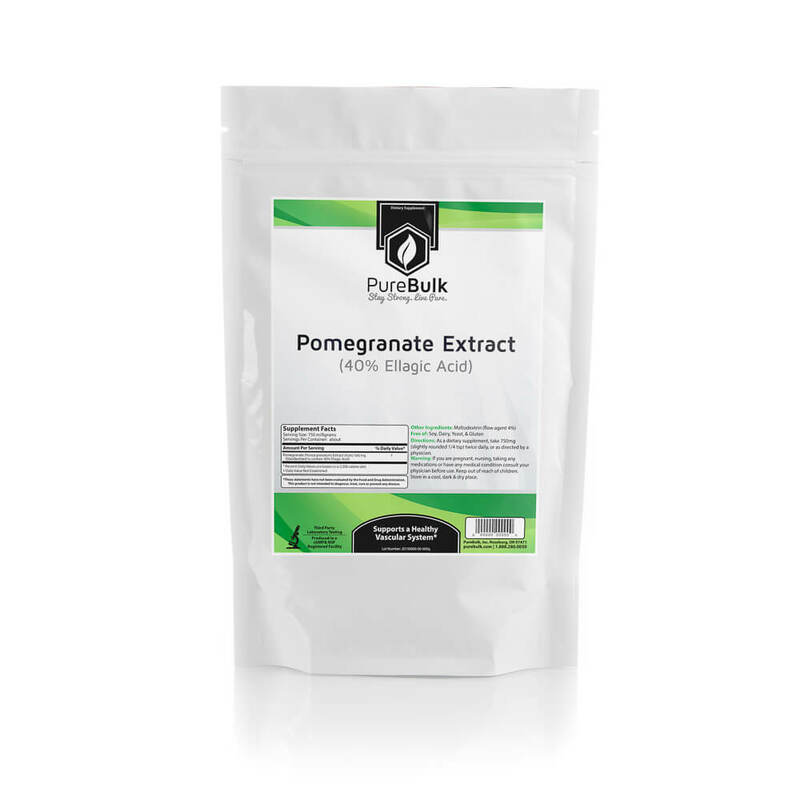 Take 300mg of Pomegranate Extract once daily as needed.